DJ Alfredo, full name Alfredo Fiorito, was born in the town of Rosario. His early working life was focused on training to become a, and eventually he worked as a music critic on a Newspaper. In 1976 at the age of 23 he left Argentina and emigrated to mainland Spain, moving to Ibiza shortly after. It seems his employment in Ibiza was as eclectic as the sets he would become famous for. Included in his early days CV were candle maker, delivery driver and fashion designer. He also worked as a barman in a popular bar near the harbour in Town Bop. The bar was equipped with a couple of turntables and a mixer and it was here in 1982Alfredo tried his hand at becoming a DJ. It was while a reputation at Bop’s he was invited to DJ for a party on the outside terrace of a small club called the nearby village of Rafael. At the time Amnesia celebrated as the most underground venue on the island. Alfredo’s appearance at the club was in 1983a private party, and at first his sets were not well received. Nonetheless and in the next year he soon began to turn the situation round eventually having a 6-year residency the club. 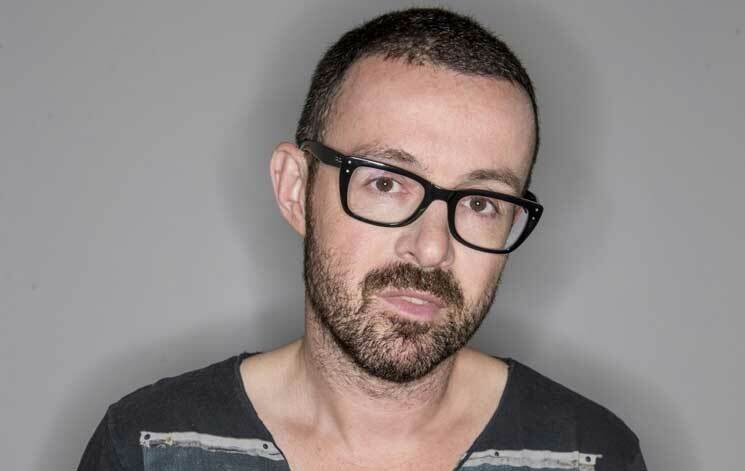 His eclectic mix of house, disco and pop, being the spark that eventually drew the crowds. As the weeks went by the in-crowd of Ibiza began to relocate from the neighbouring-club, (now Privilege) to Amnesia. 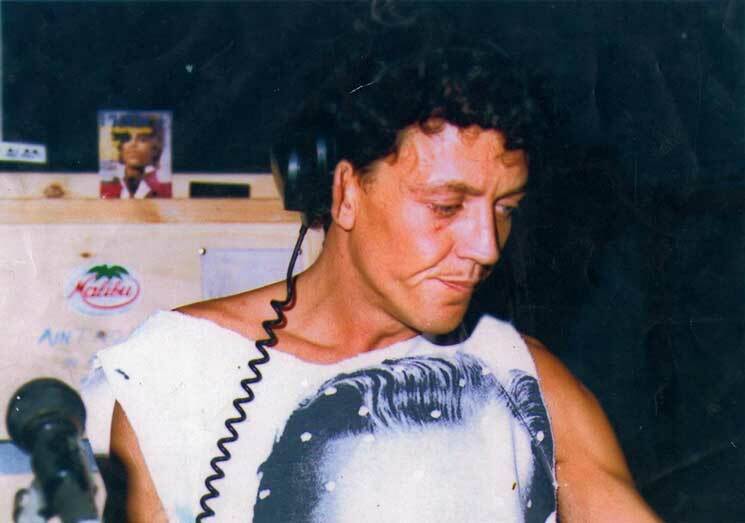 Alfredo is regarded as having a significant influence on dance music’s explosion on Ibiza and its spreading to the wider world. The much told legend, though in this case we can vouch for it being more or less true, is that in 1987 English DJ’s on holiday went along to Amnesia when Alfredo was playing. The group made up of Rampling, Oakenfold, Holloway joined by Johnny Walker. At the club the group were introduced to the unique eclectic style of which included such sounds as, among others, the new house music had been exported from the USA. There are also tales, of which we cannot vouch, that it was during that time they discovered the music’s powerful combination with the Ecstasy in reducing inhibitions and creating a sense of oneness on the dance floor. You’re credited in helping invent the balearic sound, in that you played a variety of genres. Can you remember the first house music track that you discovered, also can you name one tune that you think perfectly sums up house music and tell us why? The first house music track I discovered was Donnie, The It, in 1985, and it blew my mind. I would love to say that for me Balearic is not a style or genre of music, it’s a way to play music. As for a perfect tune, Promised Land by Joe Smooth, because it’s got the groove, fantastic lyricsa flair of “made at my house” i think. 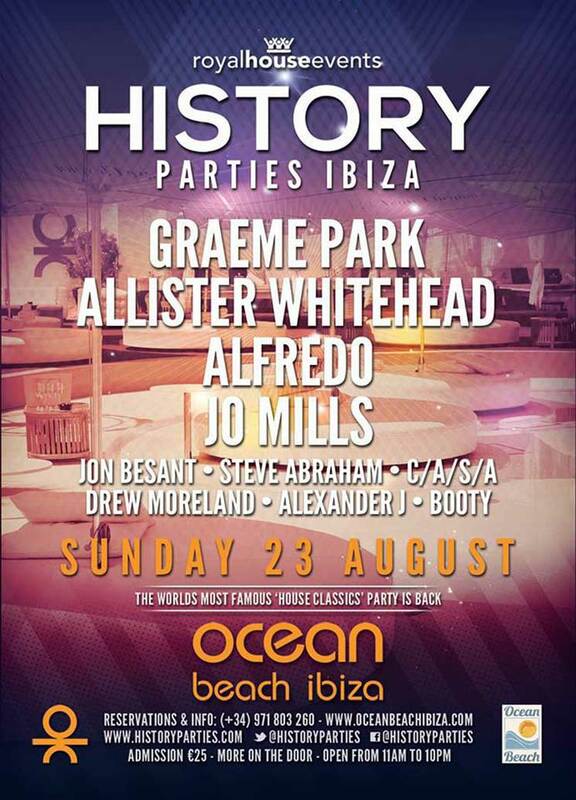 Are you going to be playing a few non-house, but classic tunes at the History of House? Which ones? What is your proudest moment in Ibiza? Professionally, the first time I made the crowd dance at Amnesia in 1984. It was an incredible moment for me, I couldn’t believe it!! On a personal side when son and my daughter where born. When you first started at Amnesia, is there any special night that you think started the fascination with house music in Ibiza? What are your current top five records that you always play at classic events? I think the 5 I named before and lots more. but you ask me for only 5!!! Good point Alfredo, to ask a DJ of his pedigree and longevity to pick 5 must be impossible. I think I’ll just do in the best way, soaking it all up on the day. Get yourself bopping to Balearic Beat before the big day at Ocean with our ready to roll playlist of Alredo’s chosen few on the Ibizan’s new Youtube page. Jon Besant’s History of House was one of the stand out events in 2014. Perhaps it was the midas touch of Ocean Beach as the venue, perhaps it was that daytime suited some of us in the crowd’s party stamina, perhaps it was to do with so many residents and workers choosing it as their day to finally have a blow out after several months hard at it. It could have been any or all of those, but perhaps the biggest single factor would have been damn fine tunes. 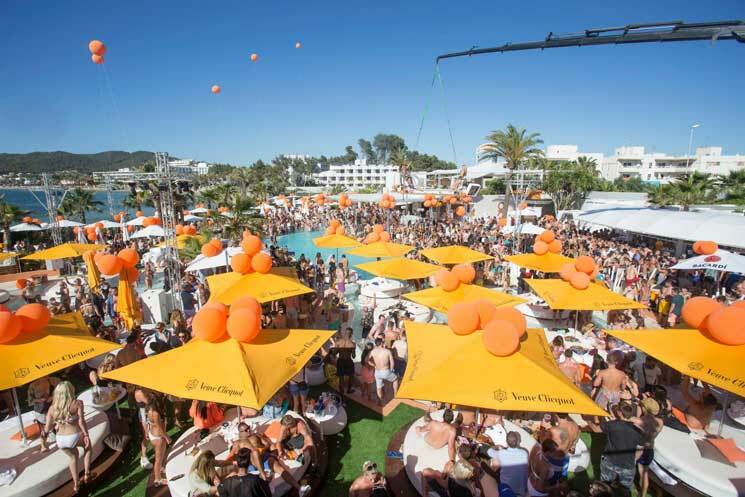 OK it is a day to celebrate the classics, the history of the music that has been a large part if not the centre of many in Ibiza’s lives—and that is not such a bad thing once in a while is it? To enjoy a day of nostalgia does not mean you do not recognise the importance of music, as with all art, moving forwards, but now and again it is good to have the musical equivalent of comfort food too. Anyway, if anybody gets too precious about it just ask them why, if classic dance music lacks relevance, it is still being remixed over and over again? Another bonus of Jon’s annual event is the chance for a new generation to see some legendary DJ’s spin their stuff. 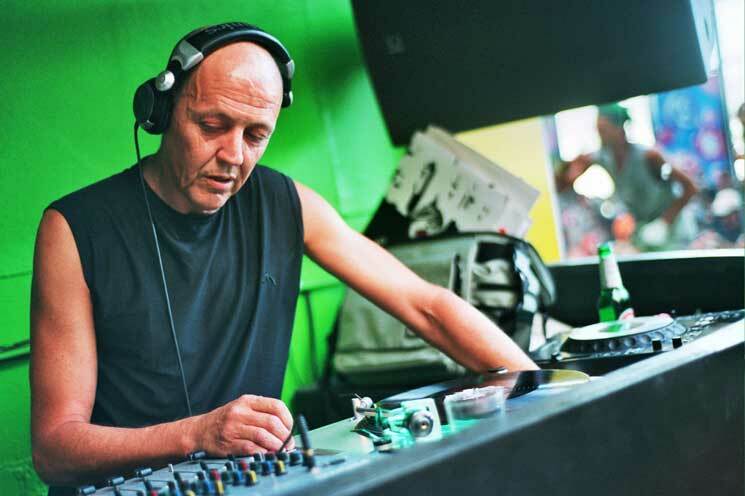 This year’s line-up offers a headliner quartet of magnificent pedigree—Graeme Park, Alistair Whitehead and Jo Mills, plus the very special treat to see a man who many consider the Papa of the Balearic Beat, Alfredo—who we feature here for those who do not know the importance of his contribution. It is bound to be a great day again and though the beds and vip tables are almost all sold, who cares? Who wants to be sitting down anyway on a day that more than any other is designed to be up on your feet and dancing. Put Sunday 23rd aside, and tickets available at the Ocean Beach website. See below for full details. Now only 2 years old, ´´History´´ is still touring countries around the world and is now growing at a rate no one could have imagined…proving one thing… The Classics Are Timeless!! !